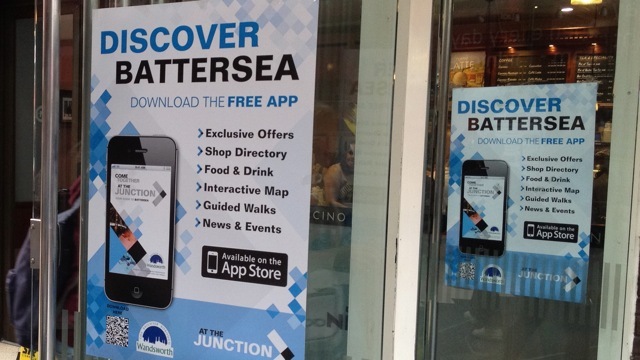 At The Junction – the Clapham Junction iPhone app – was formally launched today. If you passed through Clapham Junction you would, hopefully, have seen the posters that adorned the doors and displays in the station. The free app contains listings of all the local businesses, so you can find what you’re looking for by category or searching for what’s near to you. It also has guided heritage walks, so you can find out about the areas listings. It’s been on my phone for a few months while it was developed (I fear I took an unhealthy interest in it, but rather enjoyed insisting on small changes to the user interface!) and I have to say it is remarkably useful. Despite thinking I know the area well it has often highlighted places that I might not otherwise have thought about. If you have an iPhone you can download it from the App Store. I’d love to know what you think, so please let me have any comments, corrections, additions or deletions.